On the first day of spring, flowers were blooming and romance was in the air, signaling a fresh start in life or renewed hope and faith. As birds chirped and bees buzzed, what could not be denied is love, promising love. 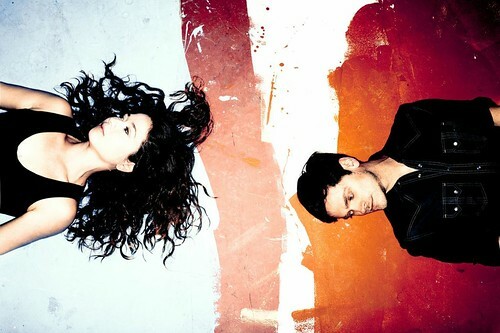 A smart, sweet and embraceable singing-songwriting duo known as The Sea The Sea convey all those feelings in a what’s-old-is-new video that is presented here today. 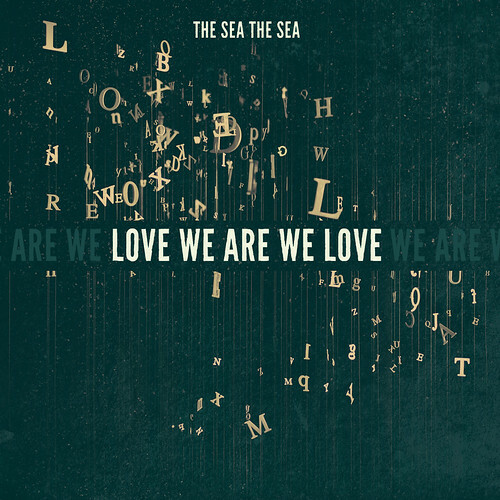 “Fists Full of Flowers” is a beautiful song from The Sea The Sea’s outstanding debut album, Love We Are We Love. The February release is loaded with tender, swoon-worthy tunes driven by rapt lyrics, sparse accompaniment, gorgeous harmonizing and a matchmaker’s dream — two of the loveliest male-female voices you might ever hear this or any other year. Chuck E. Costa and Mira Stanley are The Sea The Sea, and listening to them wrap their words and melodies around each other on record is a calming, enthralling and, yes, aurally pleasurable experience. If Joni Mitchell and Elvis Costello had ever decided back in the day to write, sing and make a duets record together, it might’ve sounded something like this. Costa, who went to high school in Staten Island, New York, and majored in philosophy at the University of Colorado in Boulder, met Stanley prior to a showcase event at a 2006 songwriting contest she had volunteered to stage-manage. They formed The Sea The Sea in fall 2011, plunging into ancient history to take their group name from a chant by joyous Greek soldiers upon their return home after an inland struggle described in Xenophon’s Anabasis. Like most musicians, they spend most of their time on the road, with shows lined up this spring from the Midwest to the South to the East Coast. When they’re not touring, Costa and Stanley divide time between East Chatham, New York, and Charleston, West Virginia. Stanley, who attended high school in Charleston, studied theatre and dance at Boston Conservatory and the University of Michigan, and considers herself “a closet visual artist,” edited the “Fists Full of Flowers” video that includes clips from Charlie Chaplin‘s silent films. “We were drawn to use silent film footage because of the expressiveness of the interactions between characters, and also the quirky but beautiful uses of special effects at the time that feel like art pieces in and of themselves,” Stanley offered in an email. So get ready to fall in love, either for the first time or all over again, by soaking in the black-and-white simplicity of “Fists Full of Flowers,” its artistry enhanced with the natural ease of these two kindred spirits. Then after watching the video, get to know the real-life couple behind the song and inspirational creation that is Love We Are We Love. To celebrate that spring has sprung and continue the theme involving matters of the heart, Chuck E. Costa and Mira Stanley (whose birthday was March 19) agreed to play 20 Questions on the road to Cleveland, providing responses via email. They were given the option to pass on certain questions and reply either together or separately. 1. Who’s the silent film buff? Mira: I wouldn’t call either of us silent film buffs, though maybe that will change now. This video process has definitely given us a different appreciation for them. Chuck is the non-silent film buff, however. I’m one of those people who has some almost embarrassing voids in my movie education. But I’m working on it! 2. How does Charlie Chaplin best illustrate “Fists Full of Flowers”? Mira: (Beyond what I already mentioned…), there’s something almost musical about the way Charlie Chaplin moves that seemed to fit so perfectly with the song. 3. What’s your favorite romantic movie (and why)? Mira & Chuck: Eternal Sunshine of the Spotless Mind. Hands down. It’s an incredible movie for so many reasons, but it’s also such a perfect illustration of how two people who are connected can find each other despite the odds. 4. Who’s the more romantic of the two of you (and why)? 5. What mode of transportation do you prefer for a romantic getaway — plane, train, automobile or cruise ship (after all, you are The Sea The Sea)? Chuck: Electric car! What’s more romantic than saving the world?! But seriously, we’ve been touring in a Chevy Volt since last year and it is amazing. It does feel like we’re doing our small part to move things in a forward direction. Although we still use fuel, the Volt has cut our consumption by about a third. And we do a LOT of driving 🙂 We don’t normally characterize our tours as romantic getaways, but they’re about all we have time for right now, and they’re really fun! 6. How did you both celebrate Valentine’s Day? Mira & Chuck: Dinner with Chuck’s sister, brother-in-law and nephews. Ha! 7. What’s the most romantic thing you’ve ever done? 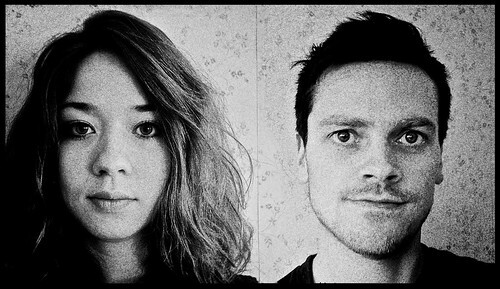 Mira & Chuck: Deciding to give up our day jobs and make music together. 8. When you want to get in the mood, whose album (other than your own) do you play? 9. Who’s your most serious celebrity crush (and why)? Mira: Jimmy Fallon. I was a seat-filler at the Tony Awards for three years, during which you are instructed not to schmooze and bother the celebrities. But one year, Jimmy Fallon was there in support of Avenue Q and they sat me next to him for a few minutes, and he was the only person who ever spoke to me and asked me about myself, and was just incredibly kind (not that anyone else was ever rude or anything). It was just unexpected and I appreciated it. 10. What was your first kiss-and-tell kiss like (and feel free to share any juicy details)? 11. Best pickup line you’ve ever (or never) used? Chuck: “If I come back to Michigan / will we kiss again?” (From “In the Dark”). 12. What’s the most romantic line in a song you’ve written (and did you try it as a pickup line)? 13. What’s the most romantic song you’ve written? Mira: There are a few, but “Fists Full of Flowers” is one that I love because I think it honors and embraces just being present in the world together wherever you, we are in our lives. It celebrates all of the “good” and “bad” things that have happened in life that make you who you are. Loving and being loved unconditionally, for all of our imperfections and fallibilities, feels like the most romantic thing ever. 14. Borrowed from Almost Famous: Do you have to be in love to write a love song? Chuck: We have this belief that all songs are love songs. Writing, singing and sharing songs is one of the deepest forms of connection with other people that there is. So engaging in songwriting at all feels, in a way, like an act of love. 15. Which is easier — writing a song together or separately? Mira & Chuck: It depends. Lately we’re in a co-writing flow. It isn’t all that different, though, to be honest at this point. We’re comfortable enough around each other now to put forth whatever thoughts — however seemingly ridiculous — are buzzing around in our brains…including the hilarious voice memos of nonsensical word melodies. 16. In case the Bee Gees never answered this: How can you mend a broken heart? Mira & Chuck: Honesty. Time. Music. 17. What singing couple do you relate to the most (and why)? 18. Who is your favorite TV couple (and why)? Mira & Chuck: Eric and Tami Taylor from Friday Night Lights. They’re this decade’s version of (The Cosby Show‘s) Cliff and Clair Huxtable. 19. If you didn’t make music, what would you love to be doing? Mira & Chuck: That’s difficult to imagine now, but we’d both probably be working with kids in some capacity (both facilitate songwriting workshops with children) and/or still be involved in the arts in some other way. D. Predictability aside, taking your loved one on a dinner-and-movie date night. E. None of the above (supply your own answer). Photos courtesy of the artists. A previous version of this article appeared in The Huffington Post.